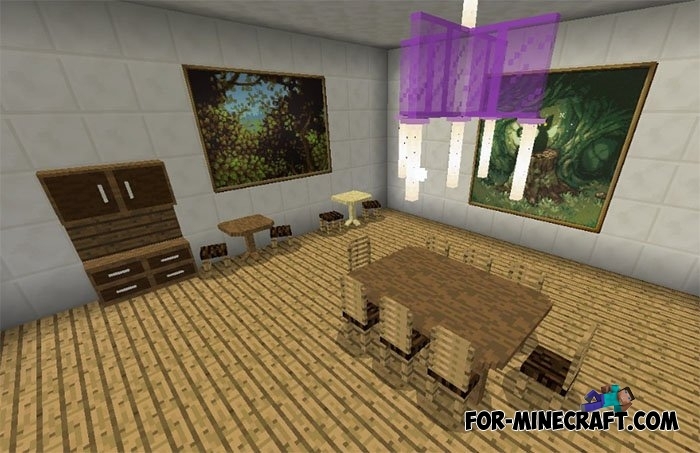 Furniture remains the most desirable items in Minecraft Bedrock Edition because all the normal house or small room owners want to beautifully decorate their homes. In fact, it will be enough to install FurniCraft to transform your bedrooms, bathrooms, kitchens and halls. 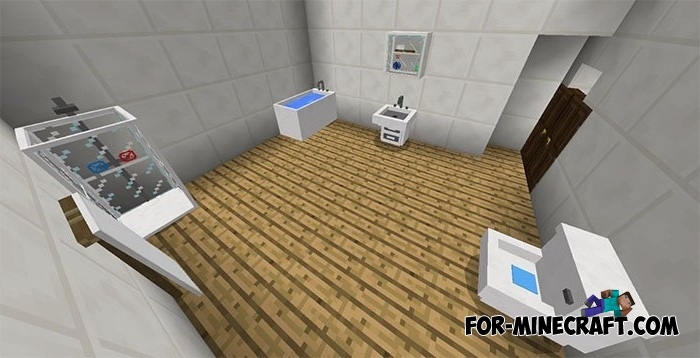 The addon contains a small number of items and furniture that can be rotated in any of the four sides that can rarely be found in other similar furniture addons for MCPE. 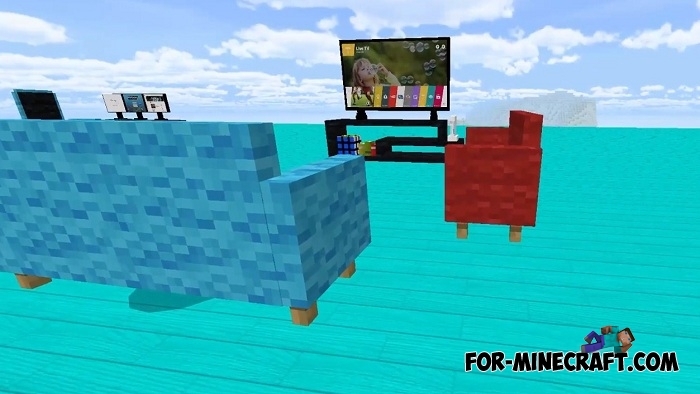 Compatibility with Minecraft BE 1.9 means that new furniture are added separately from mobs. Added beach bed and beach umbrella. The Halloween update is available only for Minecraft 1.8, older versions are not compatible due to modified addons system. Added over 10 new furniture, now there are more than 60 items of all. New items for the bathroom. And much more. 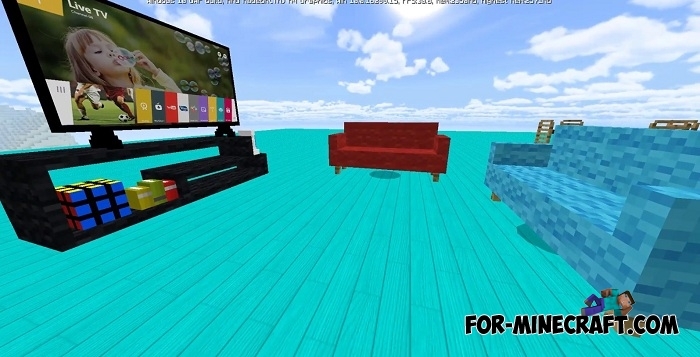 Rate how your apartment may look like with this addon. 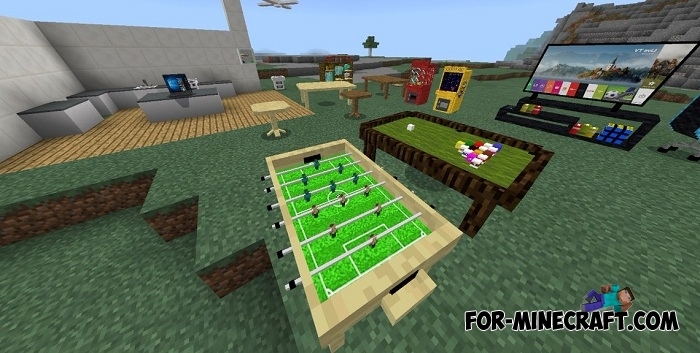 Special update for Minecraft PE 1.8 with adapted furniture. Now new items do not replace vanilla, thus survival is not affected at all. Added a red car and garage items. 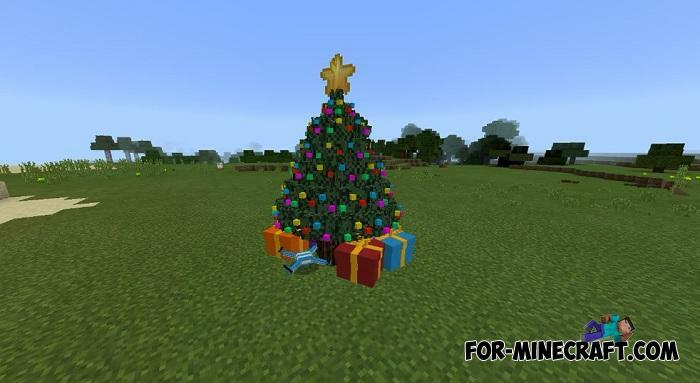 Support for Minecraft Bedrock Edition 1.6. 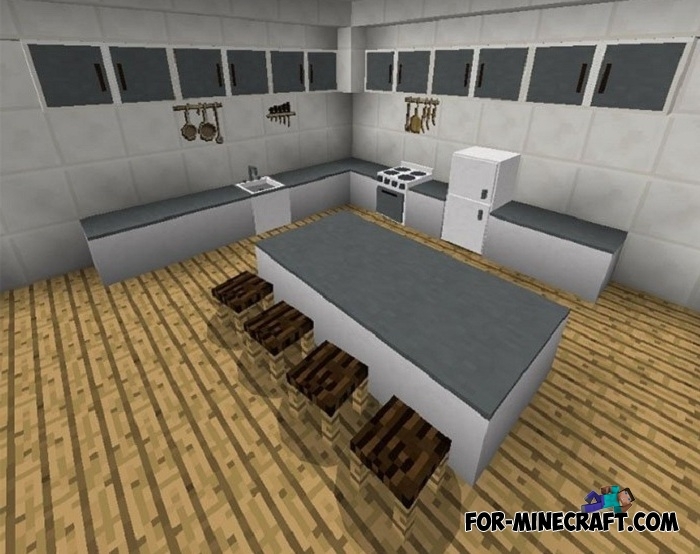 Watch the video that shows all the elements added to FurniCraft. 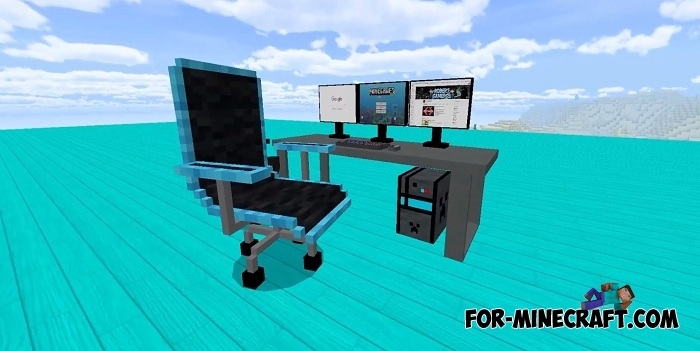 If this is not enough for you and you are looking for even more furniture then go to the SlePE Furniture mod. It brings more than 50 different versions of chairs, tables, kitchen sets, a lot of electrical appliances and small things. With this set, you can abruptly change the interior of your rooms beyond recognition. 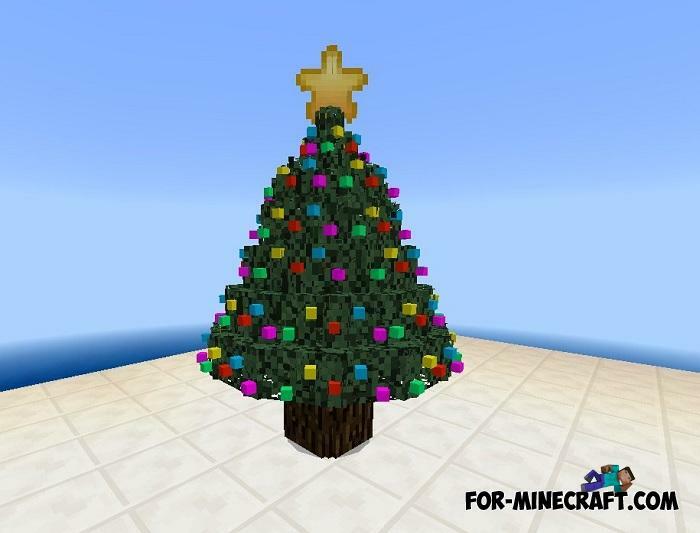 How to install the FurniCraft addon?